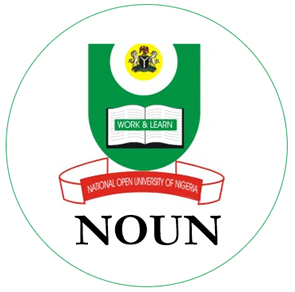 This is good news to all Students of the National Open University of Nigeria, as the NOUN nursing programme has received full accreditation the National Universities Commission. The Nursing Program of the National Open University of Nigeria (NOUN) has been completely accredited by the bodies in charge of universities in Nigeria. The body for Nursing and Midwifery also shocked the nation when they also accredited NOUN Nursing students, giving the school Nursing students full accreditation. I will be listing below, the complete list of all approved nursing courses for NOUN. This is good news to those who are eager and want to study Nursing at the National Open University of Nigeria, and to whom distance learning is the best choice. According to NUON Vice-Chancellor, (NOUN) Prof. Abdalla Adamu, who disclosed the good news that the Nursing programme of the distance university received full accreditation from the National Universities Commission (NUC) and Nursing and Midwifery Council of Nigeria (NMCN). NOUN B.Sc Nursing has been fully accredited by the National Universities Commission (NUC) and same time, has been fully accredited by the Nursing and Midwifery Council of Nigeria (NMCN). At this moment, we are very proud of this achievement and we congratulate the faculty of Health Sciences for achieving this feat. However, this event is important to us because it provides a window of interactivity with the Federal Ministry of Health; we want to see more facilitators and supervisors from the ministry. Do you think it’s great that the NOUN Nursing programme has been accredited or not? Use the comment box below to share your thoughts and views on this issue. Don’t forget to share this information with your friends on Facebook, Twitter and Whatsapp, using the share buttons below.